In a divorce, property division can be complex. When a family business is involved, it can be especially complicated. Here’s what you should know. Texas is a community property state, which means that property acquired by both spouses during a marriage is divided 50/50 during a divorce. The property acquired during the marriage is called “community property,” and other property is called “separate property.” Separate property includes things like property acquired before the marriage, property received as a gift by only one spouse and property inherited by only one spouse. Businesses are divided according to these property division rules. If a business was started during the marriage by both spouses, a Texas court would be likely to consider it community property. But what if it was started by one spouse before the marriage, and then grown by both spouses working together? A Texas court might decide that part of the business was separate property and part was community property. And what about the value of the business itself? How much is 50/50? Businesses are valued based on their fair market values – the amount that would be paid in cash by a willing buyer who would like to buy the business, but wasn’t forced, to a willing seller who would like to sell, but wasn’t forced. It’s common for the spouses to disagree about the value of the business. The spouse who operates the business and plans to keep it after the divorce typically wants the valuation to be low. At the same time, the other spouse typically wants the business valued at a greater amount so they will receive a greater portion of the assets. Spouses and their lawyers typically turn to experts to assist in business valuation. These experts are usually certified public accountants (CPAs) who are accredited in business valuation. Sometimes one spouse hires a CPA. Other times, both sides hire their own experts to conduct independent valuations as part of the divorce process. The asset approach: This approach calculates the value of the business by finding the value of the business’s assets after liabilities have been subtracted. The market approach: This approach compares the business to other, similar businesses in similar markets. The income approach: This approach looks at economic data to project the future income the business will generate. CPAs then convert that number into a present-day value. No matter which method he or she chooses, a CPA has to review a significant amount of information in order to value a business. The financial records are critical, and business valuation often takes time and resources. If your divorce involves business valuation, your lawyer can work with a well-regarded CPA to properly value the business and make sure your rights are protected. Start by calling the Arlington office of the Schneider Law Firm, P.C., at 817-799-7125. Couples save for their retirement in many ways. Over time, retirement assets can accumulate and become one of the most significant assets to divide in a divorce. At the Schneider Law Firm, P.C., we work hard to protect our clients’ interests now, and in the future, so we pay special attention to protecting their retirement savings. How Texas law divides retirement assets depends on when the contributions were made. Texas is a community property state, which means that property acquired during the marriage is divided 50/50. Property acquired before the marriage is considered separate property. The spouse who originally had it can keep it. Accordingly, when retirement asset contributions were made before the marriage, they are considered to be separate property. When retirement asset contributions were made during the marriage, they are community property – even if the contributions were made by only one spouse. Like other community property, the retirement assets are divided between the spouses. It sounds simple, but it isn’t. Documenting and calculating which retirement assets are separate property can be exceptionally complex. For example, it’s common for separate and community property to exist within the same retirement account. Lawyers often consult with financial experts to make an accurate calculation. Pensions, military retirement and Social Security spousal benefits all have different rules for eligibility, as well as for when an ex is entitled to receive funds. And for most retirement accounts—like 401(k)s—Texas courts aren’t required to divide the asset 50/50 like other community property. Through their lawyers, divorcing spouses sometimes work out agreements that are best for the couple and that do not require cashing out part of a 401(k). For example, a spouse might keep the 401(k), but the other spouse will keep a vehicle with a value equal to that spouse’s share of the community property. Questions About Your Retirement Assets? Ask a Lawyer. When your retirement assets are on the line, it’s important to get advice that’s tailored to your exact situation. Get started by scheduling a confidential consultation with a lawyer at the Ft. Worth office of the Schneider Law Firm, P.C. Call 817-755-1852. How long will my divorce take? It’s one of the most common questions new clients ask when they are just beginning the divorce process. Each case is different, and it’s impossible to predict the future, but here are some general guidelines about divorce timelines in Texas. Texas law sets certain timelines for divorce. Before a spouse can file for divorce, at least one of the spouses is required to have lived in Texas for at least six months and in the county where the petition is filed for at least 90 days. If the spouses meet this requirement, a petition for divorce can be filed. The petition must be on file with the court for at least 60 days before the court can grant a divorce. The divorce can be finalized after the 60-day waiting period is over. If the parties agree about the major issues in their divorce – things like dividing assets and deciding child custody matters – their divorce can be finalized soon after the 60-day waiting period is over. However, divorces can take longer if the couple does not agree. In those cases, the divorce timeline depends on the court’s schedule and the complexity of the case. We have found that once a couple agrees to a divorce, the spouses usually try to complete the process as quickly as possible. They cooperate to come to an agreement on issues that are important to successfully dissolve their marriage. According to The Houston Bar Association, divorces involving some disagreement usually take several months to resolve, and they can take up to one year if a trial is necessary. Of course, not all couples agree so easily. The New York Post reported on the divorce of a financial executive and his wife, in which the couple spent 21 years fighting over marital assets. If your goal is a quick divorce, there are several ways to speed up the divorce process, but the best way is simply through cooperation. Couples who keep their emotions in check and work together as cooperatively as possible usually find that their divorces proceed more quickly. Good attorneys will counsel their clients to make decisions that are in line with the client’s overall goals. Domestic violence also plays a part in speeding up divorce proceedings. In certain cases involving convictions for family violence and protective orders, the 60-day waiting period may be waived. Tell your lawyer is domestic violence is a factor in your divorce. Why Does the Divorce Timeline Matter? Long divorces with lots of conflict and continued court time can have a serious negative impact on a family’s overall happiness. The more time couples spend in divorce court, the more stressful the divorce can be for their children. What’s more, divorces that go on for years and years can use up a family’s financial cushion. We do not mean that you should avoid fighting to protect your interests in a divorce – just that it’s critical to keep your divorce timeline in mind when setting goals. To get started, call the Arlington office of Schneider Law Firm, P.C., at 817-755-1852. Sometimes, marriage feels like a big mistake. It doesn’t turn out as a person expected, and they wonder if it’s possible to have it undone. In Texas, the law allows for annulment of marriage in some cases. Here’s what you should know. First, What Is an Annulment? An annulment is a proceeding to have a marriage declared void – as if it never existed. An annulment is unlike a divorce, which is a proceeding to end a valid marriage. Annulment is like a divorce, however, in that courts will divide property and determine child custody, if necessary. You were under the influence of alcohol or drugs when you got married, and you haven’t lived together since the alcohol or drugs wore off. Your partner was permanently impotent at the time of the marriage, you didn’t know, and you have not lived together since you learned about the impotency. Your partner used fraud, duress or force to get you into the marriage. You must not have lived together since you discovered the fraud or the duress or force ended. Your partner didn’t have the mental capacity to consent to the marriage, you should have known about the mental incapacity, and you have not lived together since it was discovered. Your partner was divorced less than 30 days before your marriage, and you didn’t know. You must take legal action within a year of your wedding date, and you must not have voluntarily lived together since you found out. Lawyers cite fraud as one of the most common reason courts grant annulments, simply because there are so many situations in which fraud can play a role. When one spouse lies about critical facts to trick another into marrying them, Texas courts have granted annulments. Annulments have been granted in cases involving lies about a partner’s financial situation, a pregnancy that didn’t actually exist, or a child from another partner that wasn’t disclosed. Each situation is different, so it’s important to talk with an attorney about yours. What’s Not Grounds for an Annulment? 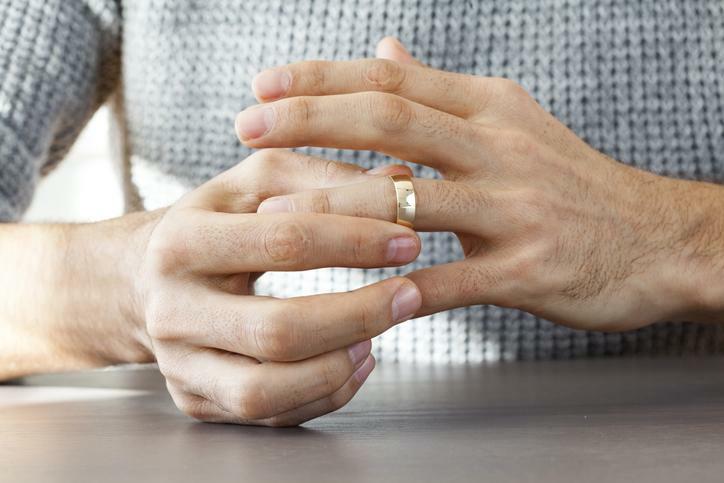 Think you might be eligible for a marriage annulment? Turn to a lawyer who can help you navigate the process. Get started by calling the Arlington office of the Schneider Law Firm, P.C., at 817-799-7125. Even if an annulment can’t be granted in your case, you may have other options. A lawyer can guide you through the divorce process or, in some cases, have a marriage voided because it never should have legally occurred. In 1986, researchers at the University of Michigan’s Survey Research Center started an important study of couples in the Detroit metropolitan area. The study—funded by the National Institutes of Health and called the Early Years of Marriage Project (EYM)—became the longest-running longitudinal study of marriage and divorce. Over time, researchers collected information on more than 740 people. So, what has their data revealed about marriage and divorce? And just as importantly, what can we learn from it? EYM researchers found some type of conflict in every single marriage they studied. There were no marriages in which spouses reported getting along perfectly all of the time. What can we learn from that? Experiencing conflict in a marriage doesn’t necessarily mean that you and your spouse will divorce. The study found conflict in marriages in which couples had been together for more than 20 years. The key is how you resolve conflict in your marriage – how you and your spouse treat each other when you fight and afterward. Researchers found that marital tension increased over time for both husbands and wives. However, wives reported more tension at the beginning of their marriages, and husbands’ tensions generally increased over time. In marriages in which a husband reported lower levels of tension over time, but the wife reported increasing tension over time, the likelihood of divorce was greater. Researchers theorized that the husband’s low levels of tension meant that he just wasn’t that invested in the relationship. Overall, researchers found that women were twice as likely as men to file for divorce. At our Arlington law firm, we represent both men and women in divorce proceedings. Many of our female clients have become increasingly dissatisfied with their marriages over time. While the decision to end a marriage is never an easy one, many lawyers believe that the spouse who files for divorce has an advantage in divorce proceedings. That spouse has had more time to prepare for the changes that come with the divorce process. While women are more likely to file for divorce, the EYM project also found a correlation between a wife’s education and the longevity of the marriage. Over time, couples had a better chance of staying together when the wife had gone to school longer. Other data backs this up as well. According to the National Center for Health Statistics (NCHS), women with at least a bachelor’s degree have a 78 percent chance that their marriages will last 20 years. By comparison, women with a high school diploma have only a 41 percent chance. So, what can we learn? Of course, there are many factors involved, but young couples considering an early marriage may be well advised to follow the classic advice: Stay in school. Curious to know more about this study or our services? We welcome you to reach out to us today. Family violence happens when someone uses abusive or controlling behavior to harm another member of the family. It can be complicated and deeply personal. While violence takes different forms in every family it touches, one thing remains constant: Domestic violence can have a significant impact on the outcome of a divorce. Here are some things to consider. The divorce process is often different for people who face violence in their family relationships. Victims of domestic violence also have legal tools they can use for protection. One option is to petition the court for a protective order (sometimes called a restraining order). When a protective order is in place, it can affect many different things–from where a spouse lives during the divorce process to how often he or she sees the children. Options for resolution are different, too. For example, mediation is often used as a tool for couples to come to an agreement on the issues in their divorces. However, professionals do not recommend medication for couples when domestic violence is a factor. The reason? Judges and lawyers worry that one spouse will have too much leverage in negotiations, and the outcome won’t be fair. Domestic violence can also speed up a divorce. The Texas Family Code says that couples must wait at least 60 days after filing a divorce petition for a divorce to be final. But this requirement can be waived in cases involving domestic violence. Judges consider the “best interests of the child” when making child custody decisions. If one parent has a history of domestic violence, the judge will consider that as part of the best interests’ evaluation. Texas law says that parents who physically or sexually abused their children during the previous two years cannot have custody. Even if the kids were never harmed, domestic violence affects things like the ability of parents to make major parenting decisions together, as well as child custody drop-offs. Texas is a community property state. Generally, couples split the things they acquired during the marriage 50/50. However, there are some exceptions, including family violence. Domestic violence can be a reason for courts to decide on the unequal division of assets. Our firm has handled several cases where on spouse made false allegations of family abuse in order to influence a pending divorce or child custody case. This is a serious injustice, and we won’t let our clients be falsely accused. We believe in fighting allegations aggressively and protecting our clients’ rights. When you are choosing your divorce lawyer, pick one who has experience in domestic violence and divorce. Your lawyer will be experienced in advocating for your rights during the divorce process so that they are protected. You can get started by calling the Arlington office of the Schneider Law Firm, P.C., at 817-799-7125. Child custody is often the most emotionally charged issue in a divorce. “How will this affect the kids?” is the first thing most parents wonder about divorce. And fear of losing time with a child can be devastating. In Texas, there are several things that family courts consider when making decisions about child custody. Here’s an overview from the lawyers at our Ft. Worth law office. Conservatorship is the right to make important decisions about your child’s life. These include decisions about where your child will go to school, what medical treatment they will receive and what religious practices they will follow. Possession and access are where the child spends his or her time. The court may decide which parent the child will live with most of the time, as well as how often the other parent spends time with the child. When deciding child custody matters, Texas courts use a “best interests of the child” standard, which was outlined in a case called Holley v. Adams. The case involved termination of parental rights, but courts have said that they should apply in all child custody cases. Each child custody case is different. For example, when judges apply the “best interests of the child” standard to very young children, they often give the child’s preferences less weight than they would if the child was older. Older kids get more of a say in where they would like to live and who they would like to make their decisions. Conversely, with babies, courts consider how well the parent is prepared to deal with the baby’s basic needs–like eating, sleeping and having diapers changed. These things naturally become less of a concern as the child grows older. Questions About Your Child Custody Case? Ask a Lawyer. Because each case is different, it’s important to talk with an attorney about the facts of your case. Don’t just rely on internet research. Instead, schedule a confidential consultation. You can get started by contacting the Ft. Worth office of the Schneider Law Firm, P.C., at 1-817-755-1852. What if an Existing Child Custody Plan Isn’t Working? As time passes after a divorce, it’s common for child custody plans to stop being as convenient – and appropriate–as they once were. Children grow up. They become teenagers with lives of their own. Sometimes parents move away. Other times, their situations change and they can’t parent the way they once did. If your existing child custody plan has stopped working for your family, you are not stuck with it. Texas family law allows for modification of existing child custody plans. Here’s what you should know. As with most parenting decisions, things are easier if both parents agree that the child custody order should be modified. When parents agree, all they need to do is submit a proposed custody order to the court. In most cases, the court reviews the proposed custody order and approves it. Unfortunately, life is rarely that simple. If parents disagree about the change, they must both appear in court to have the order modified. In order to grant a child custody modification, Texas family courts require you to show that a material and substantial change in circumstances has occurred. You must prove that the change in circumstances makes your current arrangement inappropriate or unworkable, as well as that the proposed change is in the child’s best interests. If you request the modification, that burden of proof rests with you. What does “material and substantial in circumstances” mean? It depends on your case. Many different changes can qualify. Texas courts have granted a modification when doctors diagnosed a child with a health issue that meant his parents needed to care for him differently. They have also granted modifications when one parent was unable to find significant employment in Texas and was forced to relocate for work. Courts have also granted modifications when a parent struggled with substance abuse and was no longer able to care for a child safely. Texas law makes a distinction between children younger than 12 and children who are 12 years old and older. When a child is 12 and wishes to change the primary caregiver, courts may grant the modification. It’s likely that the judge will want to talk privately with the child, and the request will only be granted if the judge believes it’s in the child’s best interests. If your family’s needs have changed and an existing child custody plan is no longer working for you, talking with an attorney is a good first step. At the Schneider Law Firm, P.C., we can talk with you confidentially about your situation and help you take the best course of action. Call our Arlington law office at 817-799-7125 to get started. Most people who divorce have never done it before and didn’t expect to ever go through it. They have no idea what to expect. If you are considering a divorce or have been served with divorce papers, here are some basics you should know from the lawyers at the Schneider Law Firm, P.C., in Ft. Worth. Texas isn’t a “no-fault” divorce state. That means that in order to get a divorce in Texas, there must be a reason (“grounds for divorce”). The reason can include things like adultery, abandonment or conviction of a felony. Most divorces cite “insupportability” as the reason, which means that the marriage cannot continue due to conflicting personalities. Divorces come in two types: contested and uncontested. Many people think that they have an uncontested divorce because they generally get along with their spouses. However, the definition is stricter. To have an uncontested divorce, you and your spouse must agree on every issue in the divorce. Otherwise, you have a contested divorce. Sometimes, divorces that start as uncontested divorces end as contested ones. Child custody: Texas courts divide child custody into conservatorship and possession/access. Conservatorship is the ability to make major decisions about the child’s life. Possession/access is where the child lives. Property division: There are two types of property in Texas: community property and separate property. Community property is things you and your spouse have collected during the marriage – like your savings accounts and real estate. Your debts are also considered. Community property is usually split 50/50. 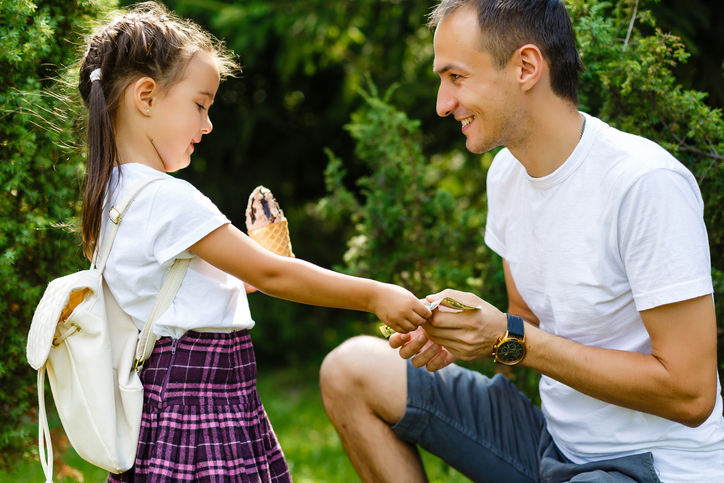 Child support: Courts order child support according to a series of Texas Child Support Guidelines that consider several factors. Alimony: Courts can sometimes order alimony for a limited time when the receiving spouse is not able to earn enough income. It may sound harsh, but you only get one chance to decide the major issues of your divorce and make sure your interests are protected. It is possible to appeal a divorce in some cases, but it’s much easier to do things right the first time. Talk with an attorney before making big decisions. Start by taking steps to get as much information as possible. Call the Arlington office of Schneider Law Firm, P.C., at 817-755-1852.